re you looking for a classy wedding? 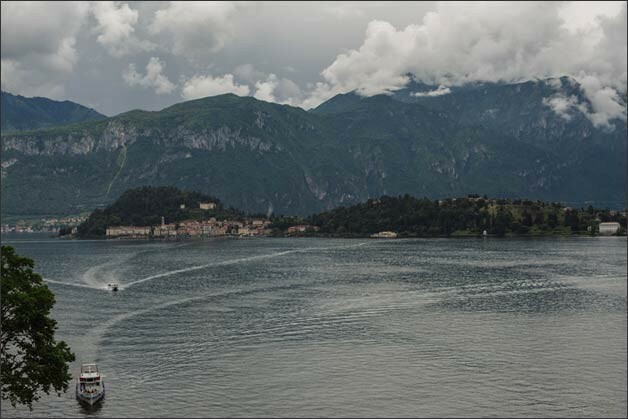 Lake Como is the right place for you. With its beautiful villas, breath-taking views and high quality service provided by the luxury hotels you can find on its shores. 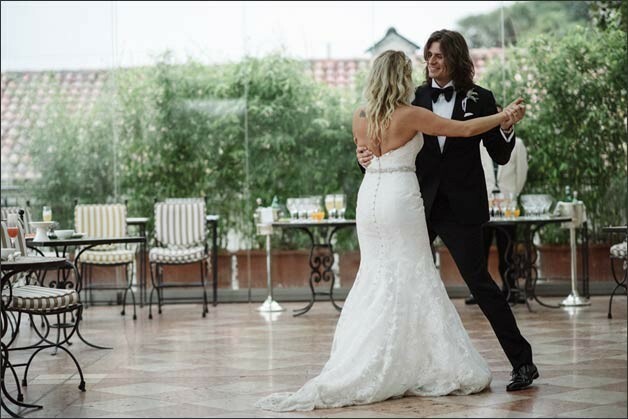 This is really the best place where you can plan an unforgettable classy and fine wedding. This is why why our lovely couple Gün and Gülin from Turkey chose it! They wanted something really special for their wedding. An experience their guests would remember for a long time. 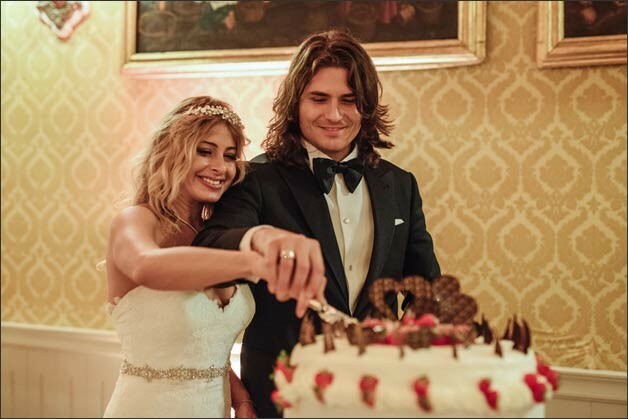 All this was possible thanks to magical setting of Villa del Balbianello and the luxury hotel they selected for their wedding reception. 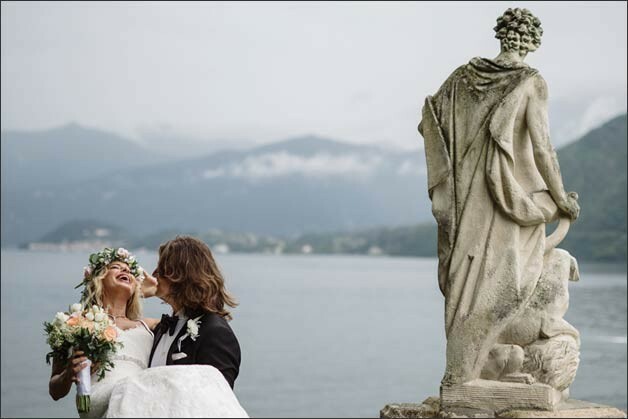 Two wedding venues on Lake Como full of history, elegance and Italian style. Yes, having two wedding planners that follow you step by step to help you making your wedding day even more special!! Gün & Gülin had very precise idea for their wedding. 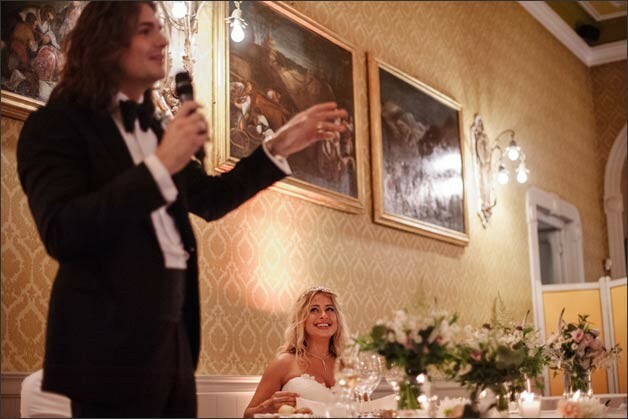 It had to take place in gorgeous venues where their guests could feel at their ease treated like top class clients. This is the easy part when you work on Lake Como! 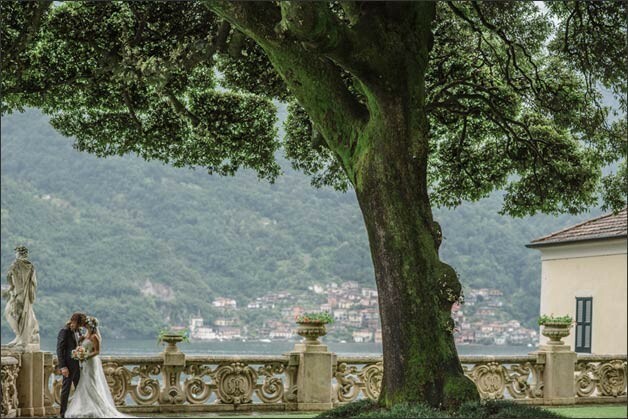 Lake Como has many wonderful wedding venues that can make you feel like a princess and a prince! 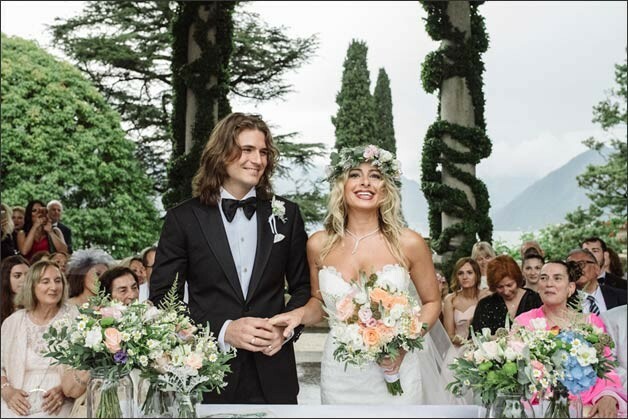 Villa del Balbianello was without any doubts the best place to choose for a dreamy ceremony. 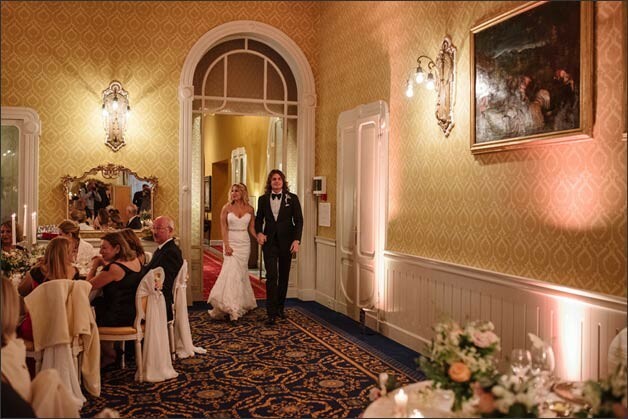 Then luxury hotel they chose was absolutely perfect for an elegant and high quality wedding reception. We decided to arrange a lovely cocktail after the ceremony and a gourmand seated wedding dinner. 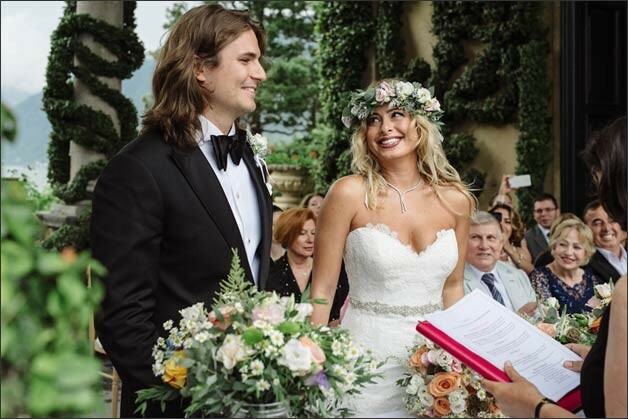 Newlyweds wished to pamper their guests with a gorgeous view on Lake Como while enjoying some prosecco wine, a light buffet and romantic music played by a string trio. 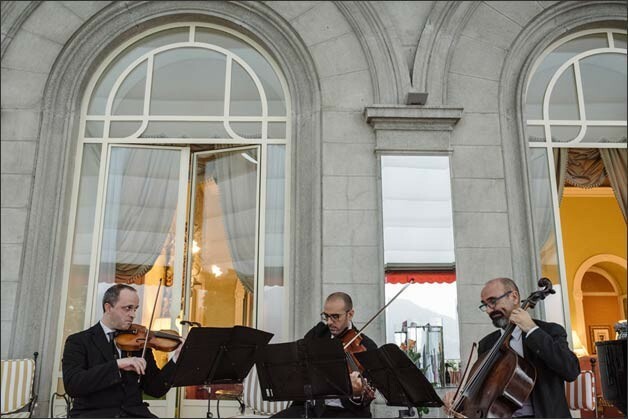 Big terrace of the hotel overlooking Bellagio was the right place to arrange such a fine event! 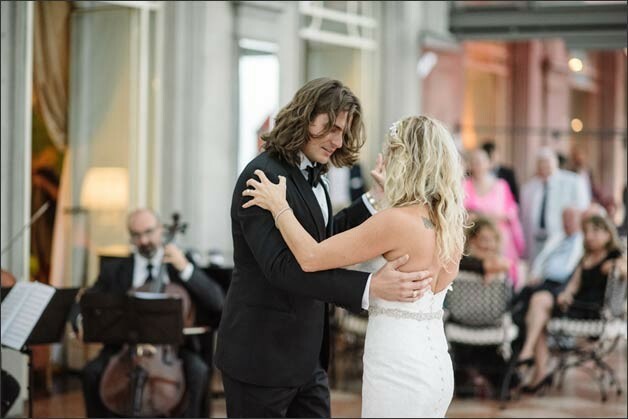 They also planned to have their first dance on the notes of the Shostakovich’s Waltz played by the trio. A very touching moment! 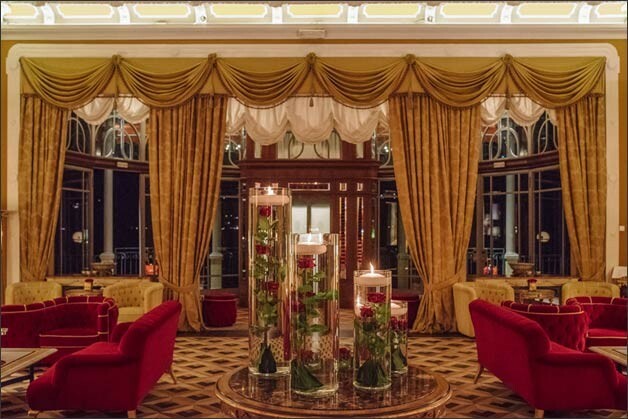 The elegant main hall of the hotel was a magnificent setting for a refined gourmand Italian dinner. But it needed a personal touch of the bride to be really perfect! And a wedding planner is hired for this reason! 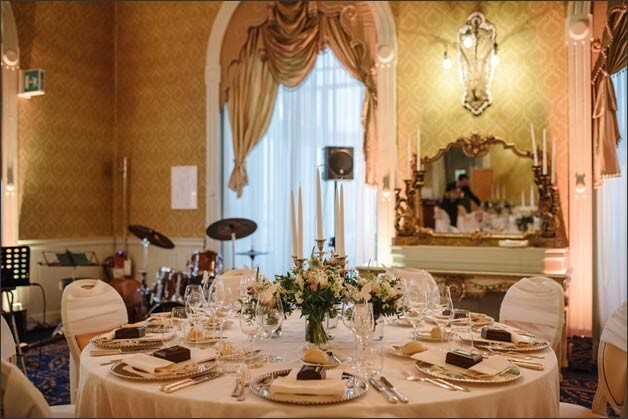 The hall has a classical Italian style, therefore we decided to keep its elegance on the tables with silver candelabras, adding a touch of cheerfulness with mason jars full of flowers. 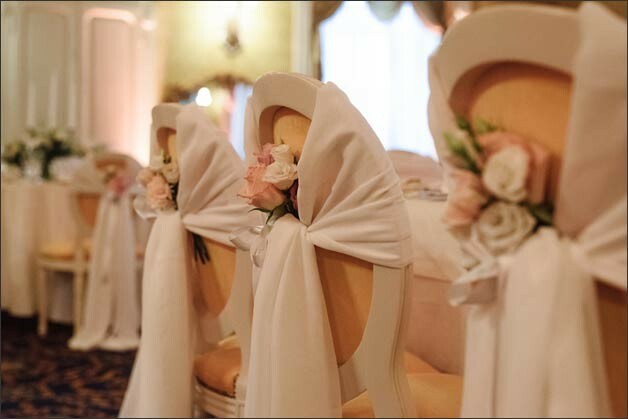 Bride wished to decorate chairs too. 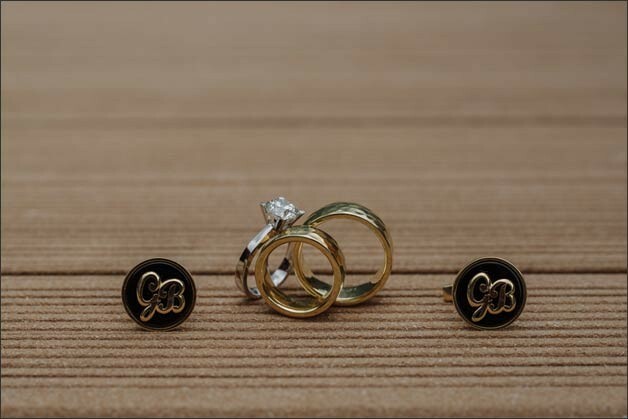 We found a way to make them very special, still keeping them simple and elegant. 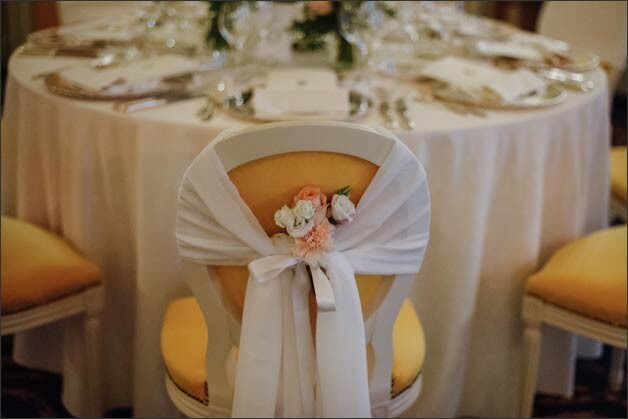 A white cloth and a little bouquet to embellish each of them. The result was really great! 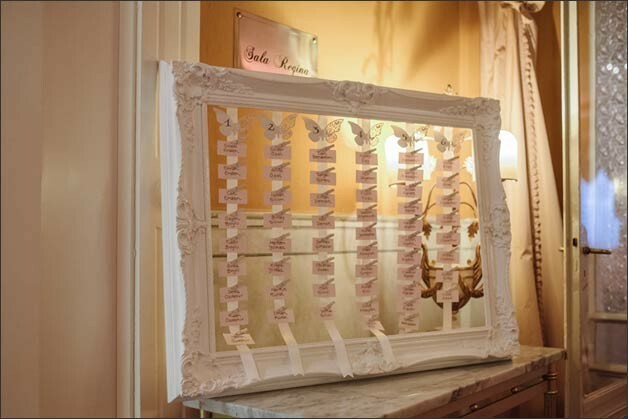 Little butterflies were used as place cards. They completed elegant and delicate decorations. 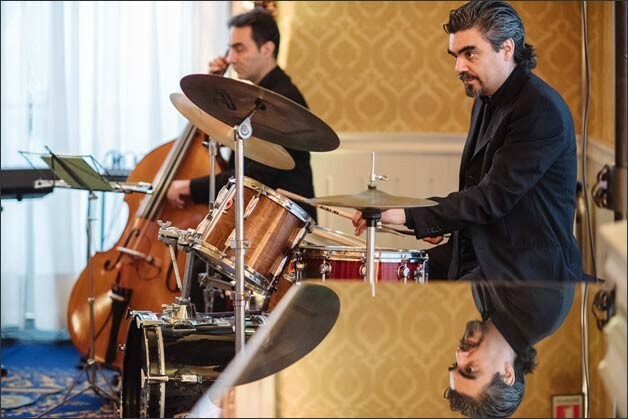 A live band and warm lights located in strategic corners of the hall guaranteed a fun joyful atmosphere! 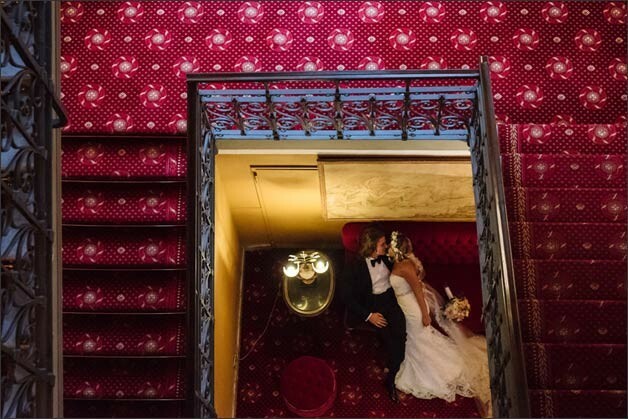 A big thank you to Davide Zanoni, who took amazing pictures of this wonderful marriage! 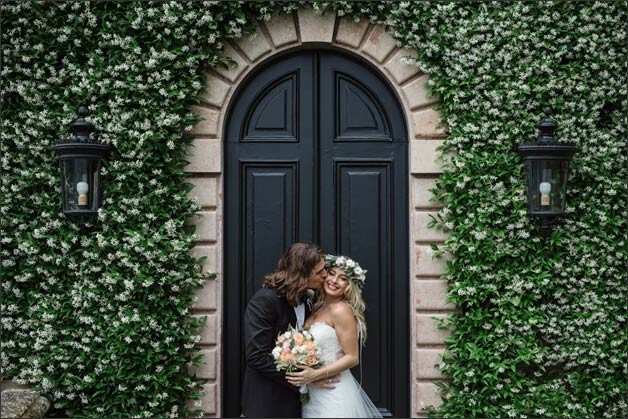 Planning a wedding requires all wedding planners’ carefulness and attention to details, but what is most important is making the right connection with the newlyweds. 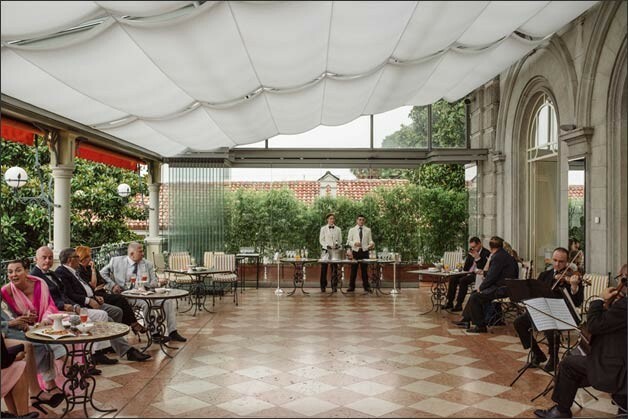 Our purpose is creating the atmosphere they are looking for and make them and their guests feel at their ease all over the day. 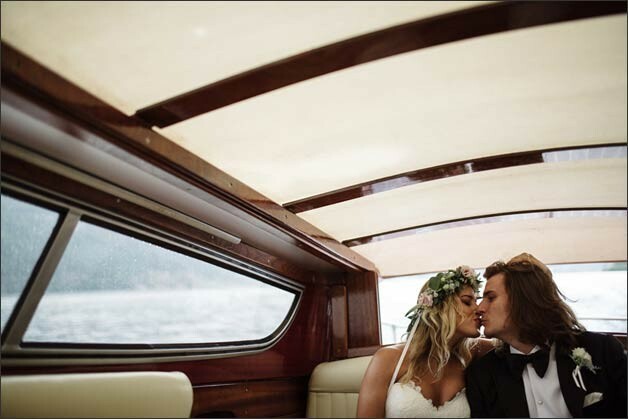 When you meet such a joyful couple so deeply in love, everything is easier! Make their dreams come true is the greatest satisfaction of all!